Vinyl Wednesdays at Peacemaker Brewing Company! 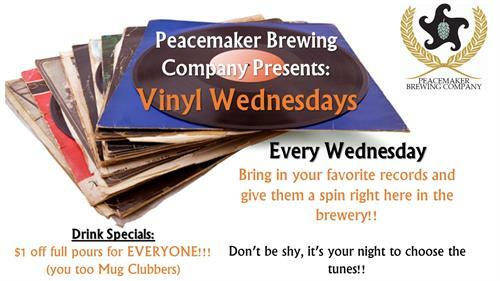 Peacemaker Brewing Company will spin your favorite vinyl. Bring it in and we'll play it! Open up your musical mind, you never know what classic will be played next!